When we left the Upper Liard River site we knew we would be taking the Alcan home since we traveled the Cassiar Highway to Alaska. Our first destination was going to be near where the Toad River intersected with the Racing River. I had never heard of either before until reading about the Alaskan Adventure of Gone with the Wynns. They were gracious enough to list the GPS coordinates (58.825869, -125.132557) for a beautiful spot and that’s where we were headed. On our way to the Racing River area we came upon the bison sign. We have seen all types of wildlife crossing/warning signs throughout this entire trip but never a Bison warning sign until just outside Liard Hot Springs (no we didn’t stop due to my medical issues). We figured we would never see the bison, that they would probably be roaming the hills and valleys and river deltas. Well we were definitely surprised and in awe when we spotted our first one; then another, then an entire heard of about 2 dozen. They were all spotted calmly resting and nibbling along the side of the road. Unbelievable ! After the excitement and thrill of watching the bison we continued south along the highway, enjoying the beauty of the Fall colors, heading towards what we hoped and anticipated would be an ideal wild camping spot. We paralleled the river and it was beautiful-that turquoise blue water sparkling alongside the road was incredible. Trees were in all their Autumn beauty. The river picked up and we were spotting crazy river rafting rapids and folks with canoes and rafts looking for spots to put in. I wish I would have learned early on how to raft a river-I guess you’re never too old to learn-have to put that on my list . Then we hit Muncho Provincial Park in the Northern Rockies. From all the glacial river washouts we passed by this place must be crazy in the Spring time with the winter run off. 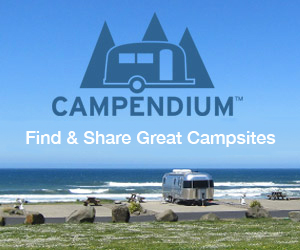 It’s a beautiful spot with sweet campgrounds. And the road around the lake itself is crazy-winding, narrow and one beautiful scene after another. Shortly after leaving the Muncho Lake area our GPS advised us , we had arrived, and boy did we ever. There was a roadside pullout and we stopped there and noticed that if we followed the short dirt road behind the pullout there were several spots overlooking the river. We picked our spot and settled in, feeling extremely blessed that we had stumbled across this, thanks to Gone with the Wynns. If you drive south just a bit past the large pullout, there are about a half a dozen sites you can pull into with your own private view of the river and mountains. We thought, well it doesn’t get any better than this-but oh my gosh it does and it certainly did that night. About 10pm my Aurora Alert went off reminding me that I should be able to see the Northern Lights. We set our camping chairs up on the ledge overlooking the river and sat back and enjoyed the most incredible showing of Northern Lights so far. They literally lit up the landscape. We couldn’t believe how blessed we were to have this magic show again-what a way to wind down our unbelievable adventures in Alaska and Canada ! It seems as though we have had the best luck with the Northern Lights, camped along a river and near a bridge ! The bridge over the Gerstle River; the bridge over the Upper Liard River and now the bridge over the Racing River ! When I’m on the road with no set schedule I find myself sitting in the passenger seat daydreaming and filled with so much gratitude. There is more beauty to be seen every minute of the day. You just have to look, and I’m always looking everywhere. It doesn’t have to be a perfect day, as a matter of fact some of my favorite shots are cloudy, foggy overcast days. Every day presents something different and reminds me of what has become my lifelong mantra: “This is the best moment of your life”. It’s easy to remember that mantra when I’m surrounded by the stunning beauty of our Universe. It’s a little more challenging when I’m standing in my kitchen scrubbing grease off the frying pan. But believing that mantra while scrubbing , just reminds me not to let a moment pass recognizing-this is it-this is life-my life. The scrubbing, the daily challenges and the beauty of every single moment-thank you God, thank you Buddha and thank you Universe. Happy Trails and Safe Travels my friends, wishing you starry night skies and sunny daytime skies with the sound of the river to put you to sleep at night every once in a while.